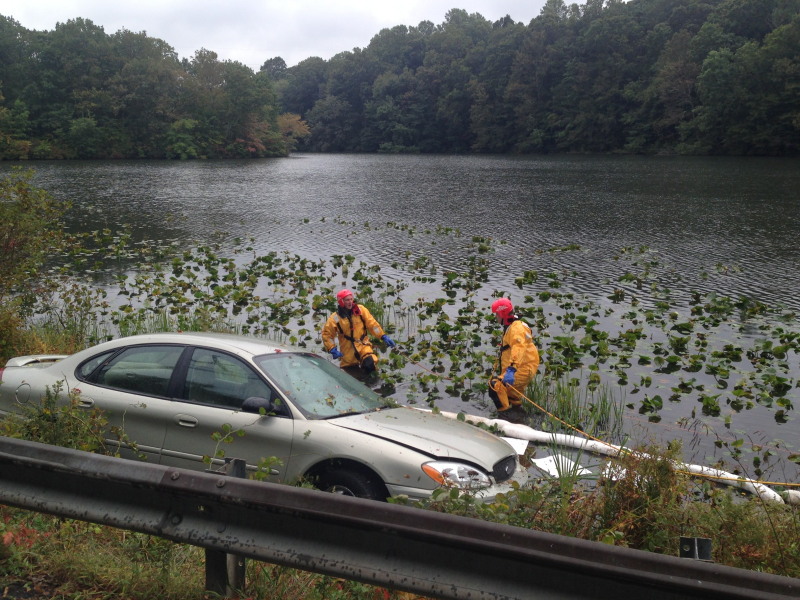 The Millstone Township Fire Department was dispatched to Perrineville Road, at Perrineville Lake for a motor vehicle accident, vehicle overturned. 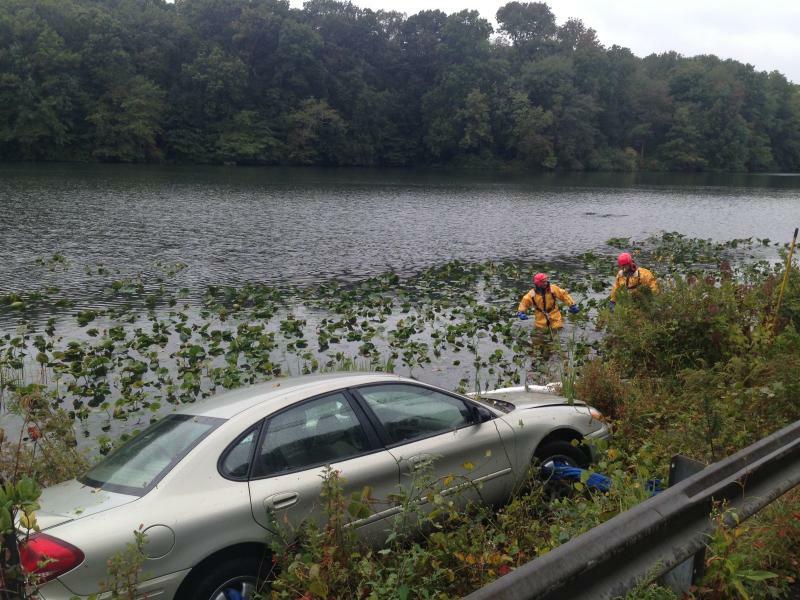 While enroute Telesqurt 3290 (Maloney) was advised of a vehicle into the water, driver entrapped, and a fuel spill. Telesqurt 3290 arrived to find a vehicle partially into the water, with the driver still in the vehicle and an active fuel leak. Firefighters assisted the driver from the vehicle and turned over to Millstone EMS for transport. Rescue 3285 arrived and firefighters deployed spill containment booms to contain the gasoline that had entered the water. Monmouth County Hazmat and Hope Fire Company Marine Unit (Sta 82-1) were requested to the scene. Additionally a notification was made to the Monmouth County Fire Marshalls Office, due to this incident occurring on Monmouth County Parks Systems property. Members of the Hazmat unit and Marine 82-1 arrived and the decision was made to have two firefighters enter the water in dry suits in order to place additional spill containment booms. Once completed a heavy duty wrecker was used to raise the vehicle from the water. The vehicle was placed on the roadway where additional action was required by Hazmat personnel to contain both a gasoline leak and oil spill. After operating for over 2 hours fire department units cleared the scene, while Hazmat units remained for additional clean-up. Representatives from the Monmouth County Office of Emergency Management, the Monmouth County Park Systems, Monmouth County Highway Department and the New Jersey State Department of Environmental Protection were on scene. 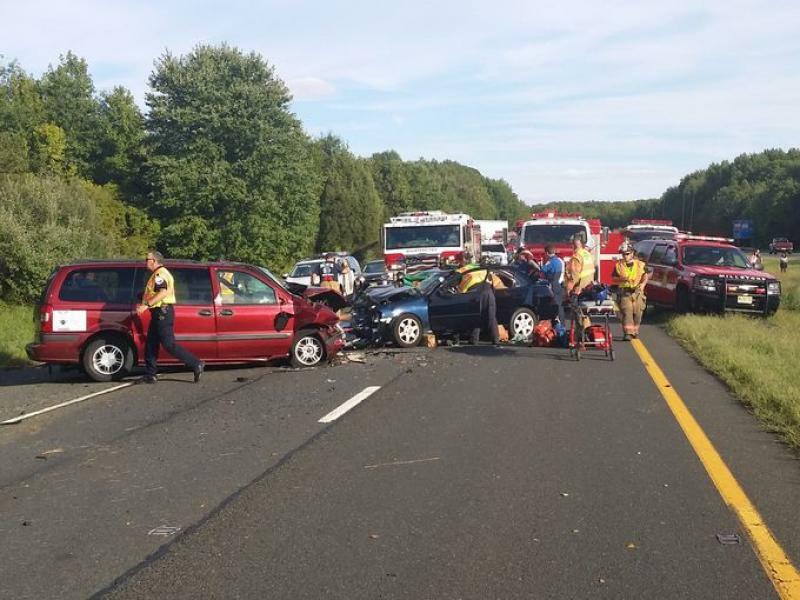 The accident is under investigation by the New Jersey State Police. The Millstone Township Fire Department was dispatched to Route 33 and Millstone Road for a motor vehicle accident. Chief Carbin (Chief 57) arrived to find a two vehicle accident with two injuries, one which was serious in nature. Telesqurt 3290 (South) and Rescue 3285 arrived and began providing patient care. 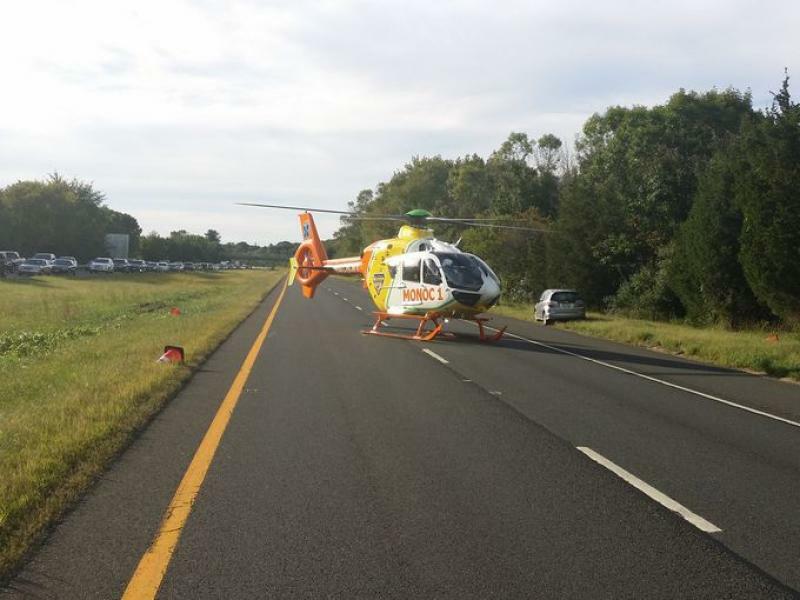 A medevac helicopter was requested to the scene and Engine 57 was detailed for a landing zone. Monroe EMS arrived and the decision was made to transport the patient by ground to Jersey Shore Medical Center. The medevac was canceled. 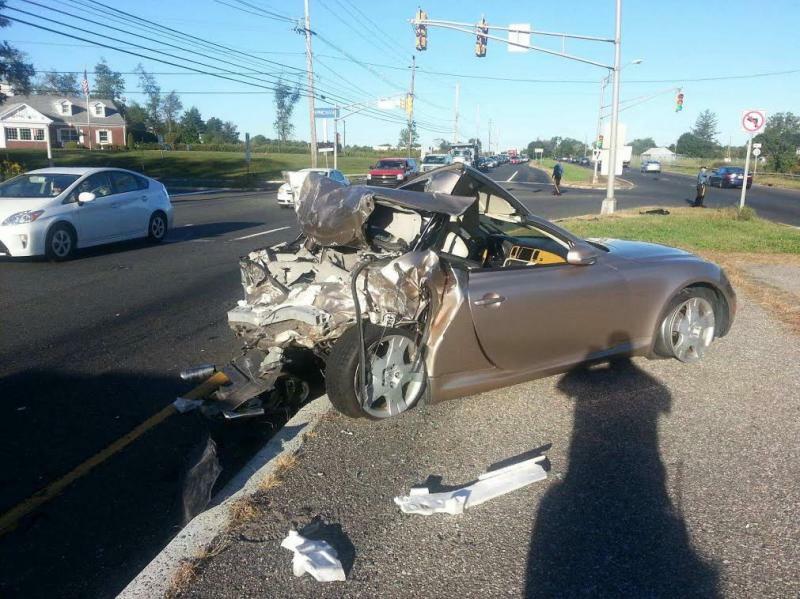 The accident was investigated by the New Jersey State Police. The Millstone Township Fire Department was dispatched to Monmouth Road and Trenton Lakewood Road for a motor vehicle accident with entrapment. Engine 3275 (Maloney) arrived to find a multiple vehicle accident with one driver entrapped in a Dodge Neon. The engine crew initiated patient care, stretched an 1 3/4″ hand line for fire protection, and stabilized the vehicle with cribbing. 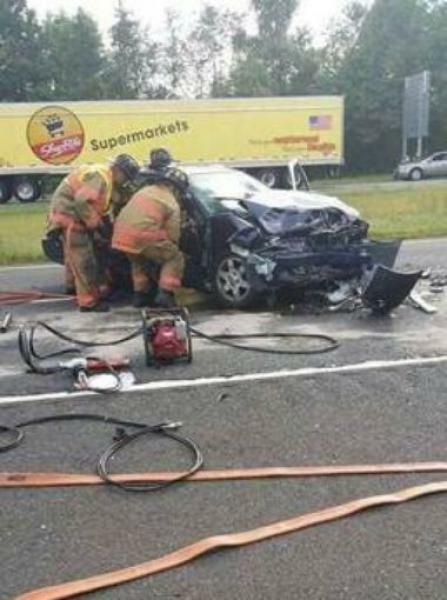 The engine crew placed the Holmatro extrication tools into service to remove both drivers side doors as well the drivers side support post. 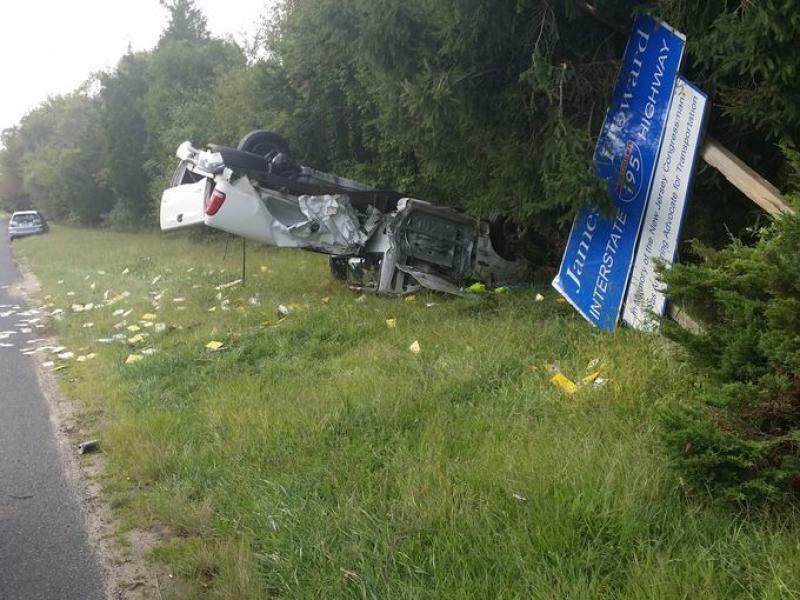 Units from Jackson Township, Engine 5421 (Jackson Mills) and Engine 5621 (Cassville), arrived to assist as this accident is located on the border of the two towns. Once extrication was completed, the driver was transported by Quality EMS and MONOC Paramedics to Jersey Shore Medical Center. 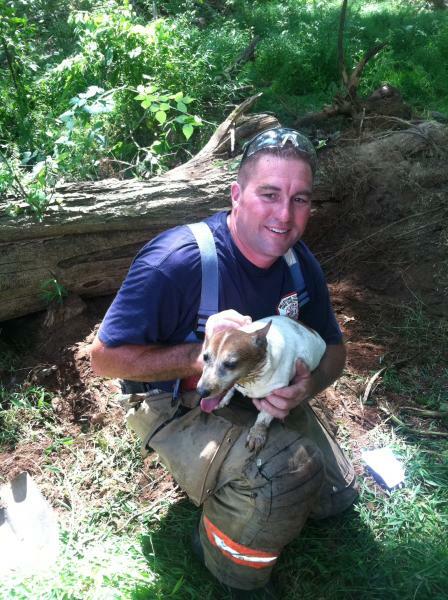 The Millstone Township Fire Department was dispatched to 35 Forman Road for an animal rescue. Engine 3275 (South) and Rescue 3285 arrived to find a Jack Russell terrier that was trapped in hole, approximately 4 feet deep under an uprooted tree. 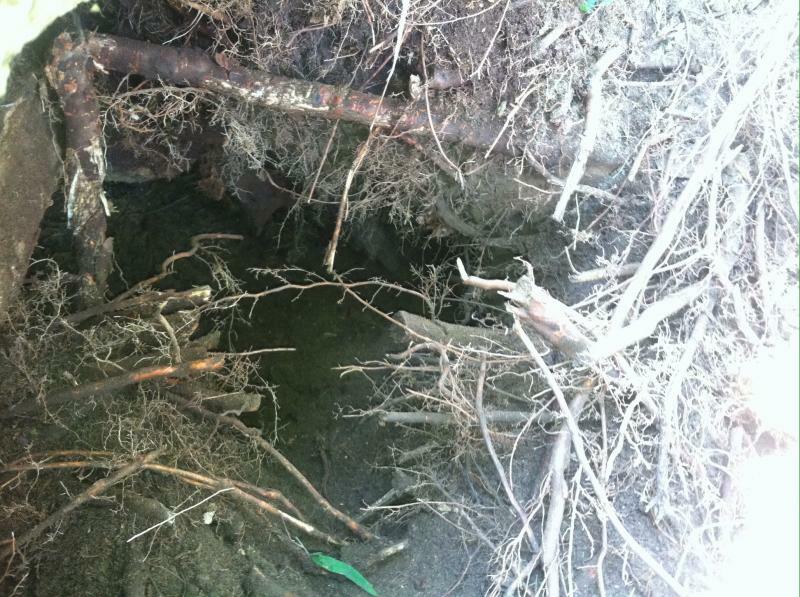 Firefighters were able to cut through a number of roots with a chainsaw, then dig down to free the dog.